Since we are now in the era of everything being rebooted — Hawaii 5-0, Magnum PI, Roseanne, MacGyver, S.W.A.T. 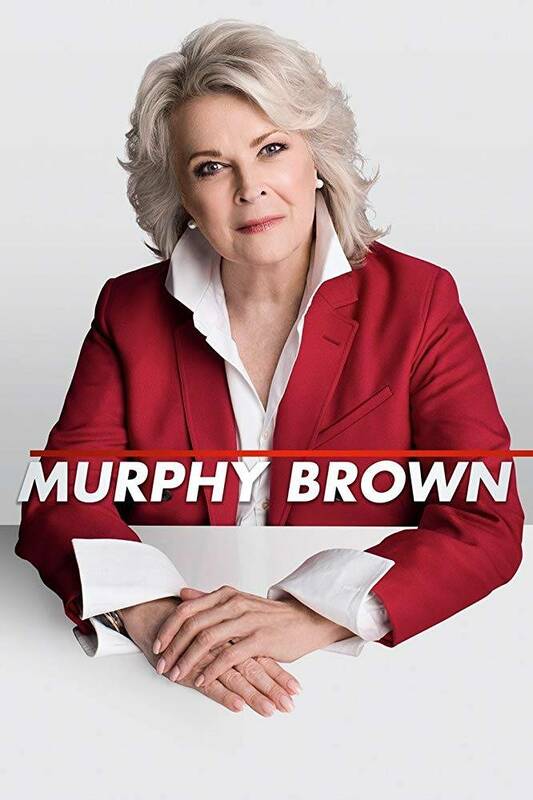 — someone thought it would be a good idea to bring back Murphy Brown. Seriously, who thought this would be a good idea? For those of you who have no idea what I’m talking about, Murphy Brown centered around a TV broadcast reporter and her band of misfits. Only now …. I don’t know, I may not remember the original TV show that well. Was Murphy Brown originally a sadistic, narcissistic, mean-spirited little sociopath? Because if so, this show is right on target. Watching this show is … odd. No, literally, even in character, on the show, they deliberately state that they’re “bringing the band back together” because Trump is eeeevvviiillll, and resist, et al. The execution, however, is very much the audience laughing at the characters, rather than with them. Anyway, let’s address some specific points to prove that I’ve actually seen this train wreck. Premise, Murphy Brown is an old, aging, decrepit reporter from the days where people believed TV reporters on Network news. When Trump is elected, she decides to bring back all of her old henchmen to FIGHT THE POWER, only via their own TV program on CNN. Meanwhile, Brown’s son is also a TV reporter, on the competing “Wolf” network. I wonder what they’re ripping off. His show is basically interviewing people in diners across the country asking people if they regret voting for Trump yet. The “plots,” as much as they are, have involved a live, on-air war with Trump via tweets, and “taking Sarah Huckabee Sanders to task.” The latter one is even dumber than they sound, because during the episode, we are asked to believe that the White House isn’t guarded, and there’s no security monitoring the side gate. The third episode is a #MeToo episode, about how Brown was hit on by her professor about 50 some odd years ago. Which, I’m sorry, is problematic with the characters, the timeline, and all human rationality. Why? You’d have to make me believe that this self-centered little twit wouldn’t have gone back and beaten this fellow with a baseball bat decades ago, especially after discovering that he had gotten old and frail. Because she’s the sort of person who would beat an old man with a baseball bat. Anyway, the only interesting part of this show is about Brown’s relationship with her son. Sadly, that takes up about 5 minutes of every episode, because everyone else is so wrapped up in themselves. For example, the White House Press pool episode started off with her son announcing that he’s going to be in the press pool. He’s going to get a question asked on her first day! …. So Brown then decides to infiltrate the White House (because she’s been banned since dinosaurs walked the Earth) and makes a fuss, demands everyone walks out with her, and essentially ruins her son’s first day on the job because it was all about her. Anyway, Murphy Brown is unsurprising. It’s cruel. It’s mean spirited. It sneers at anyone who disagrees with the characters or the writers. It’s filed with right wing caricatures and straw men, and the scripts are literally political talking points. Worst of all, it’s not funny. Unless your idea of a good time is watching a cranky, spiteful old hag claim she’s perfect and awesome, and falling down on her face over and over again. The difference between me and Murphy Brown … I’m not a sadistic sociopath. So no, it’s not funny. Here, have some non-political fun. A saintly cop versus a demonic serial killer — and it’s nowhere near as preachy as this.